Fame and fortune does not guarantee someone a happy life. Cat Stevens, the pop star era of the '70s, which became known as Yusuf Islam, precisely feel the restlessness of his life when he was at the height of popularity in which he lives wallowing in wealth. Restlessness that drove down the long road to seek the Lord until he found the light of Islam and eventually became an interpreter propaganda through his musical activities and active in social activities. Since childhood, Yusuf Islam is already familiar with the stages of entertainment for the family business engaged in it. He used to live in luxury high-class social circles in England. As adherents of Christianity, her family taught Joseph that God exists, but humans can not make direct contact with God. Christians believe in Jesus as an intermediary between man and God. "I accept that teaching, but I do not swallow it raw," says Joseph. "I see the statues of Jesus, they're just inanimate objects without life. I more confused when they say God is three. But I do not argue with that statement. I accept it, because I have to respect the beliefs of my parents," he continued. Growing up, Joseph began to cultivate the music and he began to forget the confusion of religion because he started away from Christianity. His dream then was a pop music star. What he saw and he read in the media is influencing his thinking to become a star. Joseph had an uncle who had a luxurious and expensive cars. When Joseph was thinking, his uncle had a luxury car because it had a lot of money. "Many people around me make an impact on my thinking that money is their God and the world. So I decided that it was my life. A lot of money, good life," said Joseph. However, Joseph admitted when it was still far side of humanity in his heart, a desire to help fellow human beings if he be rich someday. Joseph built his career as a musician and singer. In the age of the young Joseph had received his success and his desire to become a 'big star' is reached. Names and photographs appeared in virtually all mass media. Joseph felt the pleasures of the world, but that does not make him happy, he wanted a better life and more than what he has, unfortunately, Joseph fell into the wrong path. He chose drugs and alcohol to seek life he wanted it. Joseph received his new year in their career and financial success. Joseph tubercolusis affected due to lifestyle and habits drinking and drugs. He was seriously ill and had to be hospitalized. At that time Joseph was thinking, 'why am I here, tergelatak in bed?, "What happened to me? if i was just pile of bodies? what my life purpose is solely to satisfy this body?. The questions were bothering him and he tried to find the answer. Because at that time in Western societies is a trend to study things that smelled of Eastern mysticism, Joseph had come to learn it. He regained consciousness about death. He started doing meditation and a vegetarian. But the questions that he was not just a heap of human bodies, still on his mind. As a pop star, his name continued to crawl to the ladder of popularity. Wealth continues to flow, but when Joseph began to seek the truth. He also studied Buddhism, but on the one hand, Joseph had not dared leave glamournya life, leave the pleasures of the world and live like Buddhist monks, isolate themselves from society. Furthermore, Joseph also studied Zen and Ching, numerology, tarot cards and astrology, studied the Bible back again, but Joseph did not find what he seeks, the ultimate truth. Until then what he calls the miracle to come. "My brother just returned from a visit to Jerusalem and there he visited a mosque. My brother was very impressed to see the mosque is crowded with people, like the pulse of life there, but the atmosphere remains calm and peace feels. Unlike feels when he visited the church and a deserted synagogue, "said Joseph. When he returned to London, his brother was giving al-Quran in Yusuf Islam. "He did not convert to Islam, but he felt something in this religion (Islam) and he thought I would also feel the same. I received a gift my brother Al Quran and read it. That's when I feel that I have found the true religion, religion is not like the view of Western societies has been that religion is only for old people, "said Joseph. He continued, "In the West, if there are people who want to embrace a religion and make it as a way hidunya, then that person would be considered a fanatic. But after reading al-Quran was initially confused about my body and soul, finally realized that both are part of the inseparable, you do not need to go to the mountain to be religious. " At that time, the only one who wants Yusuf Islam is to become a Muslim. Of al Quran he knew that all the apostles and prophets sent by Allah Almighty to deliver the same message. "Why, then, Jews and Christians different? Jews do not want to accept Jesus as the Messiah and they changed the commandments of God. While the Christians misunderstand God's commands and refer to Jesus as the son of God. But in the Quran I find beauty, al-Quran forbids the worship of the sun or moon but commanded mankind to study and reflect on all the creations of God Almighty, "said Yusuf Islam. "When I read Al Quran further, al Quran talk about prayer, charity and good deeds. I have yet to become a Muslim at the time, but I feel al-Quran is the answer for me and Allah has sent it to me," continued Yusuf Islam . 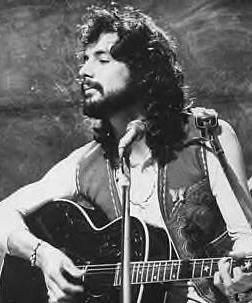 Yusuf Islam then decided to visit Jerusalem. In the holy city, he came to the mosque and sat there. "Someone asked, what he wanted, I replied that I am a Muslim. The man asked again, who's my name. I said 'Steven'. The man looked puzzled. I participate in one congregation, although I do not pray so successful," the story Joseph described his experiences in a mosque in Jerusalem. Back to London, Joseph met a Muslim bernama Nafisa and said that he wanted to convert to Islam. Nafisa Joseph then invited to the New Regent Mosque. When it was in 1977, one and a half years after he read al-Quran given her brother. On Friday, after Friday prayers, imams and Joseph met two sentences say the shahada. He became a Muslim. Cat Stevens name was changed to Yusuf Islam. "I finally know that I can make direct contact with God, unlike in Hinduism and Christianity must go through an intermediary. In Islam, all the barriers were not there. The only thing that distinguishes the cautious and not fear the prayers, prayers is a process of self-purification, "said Yusuf Islam. "Finally, I want to say that what I do now is to Allah alone. I hope you get this inspiration from my experience. One that I want to say, I never once had interacted with a Muslim before I embraced Islam. I first read the Quran and realized that no one is perfect. But Islam is a religion of perfect and if we follow the example of Prophet Muhammad, our lives will be saved. May Allah always guide the people of Prophet Muhammad SAW to the straight path. ameen , "said Yusuf Islam closed the conversation.